We’d love your help. Let us know what’s wrong with this preview of Under the Naked Sky by Denys Johnson-Davies. To ask other readers questions about Under the Naked Sky, please sign up. Overall,I can't judge the book as a one unite because it is a collection of different short stories written by several witters from the Arab word,but the good thing is I was introduced to a plenty of good Arab witters that I did not have any idea about before..There were a lot of fantastic deep stories while there where a lot of incomprehensible stories...The book is a good introduction to the Arab short stories and the Arab writers. This is no proper review. It doesn't make sense to give a review of a collection of stories by different authors. And I didn't even read all the stories. I had an ulterior motive: I am trying to get in touch with an Arabic voice, in order to write stories about people in Arabia. There seems to be something strangely formal about all the Arabic I've seen translated into English, this book being no exception. I guess I'll never know how much of that is the nature of the translation and how much is This is no proper review. It doesn't make sense to give a review of a collection of stories by different authors. And I didn't even read all the stories. I had an ulterior motive: I am trying to get in touch with an Arabic voice, in order to write stories about people in Arabia. There seems to be something strangely formal about all the Arabic I've seen translated into English, this book being no exception. I guess I'll never know how much of that is the nature of the translation and how much is something true about the language itself. But for the record, these stories were all translated by the same guy, Denys Johnson-Davies. Perhaps that's why they all seem to speak with one voice, even though some of them are very different stories. But it's a good voice; I'll totally borrow it. Stories are very interesting and worth reading, skip the 1st story as its quite bizarre. Denys Johnson-Davies (Arabic: دنيس جونسون ديڤيز) (1922-2017) was an eminent Arabic-to-English literary translator who has translated, inter alia, several works by Nobel Prize-winning Egyptian author Naguib Mahfouz, Sudanese author Tayeb Salih, Palestinian poet Mahmud Darwish and Syrian author Zakaria Tamer. Davies, referred to as “the leading Arabic-English translator of our time” by the late Edwar Denys Johnson-Davies (Arabic: دنيس جونسون ديڤيز) (1922-2017) was an eminent Arabic-to-English literary translator who has translated, inter alia, several works by Nobel Prize-winning Egyptian author Naguib Mahfouz, Sudanese author Tayeb Salih, Palestinian poet Mahmud Darwish and Syrian author Zakaria Tamer. 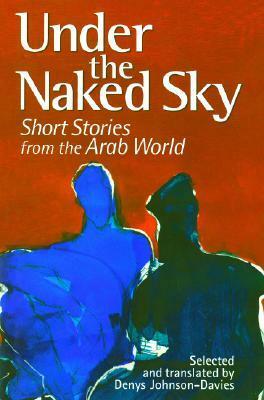 Davies, referred to as “the leading Arabic-English translator of our time” by the late Edward Said, has translated more than twenty-five volumes of short stories, novels, plays, and poetry, and was the first to translate the work of Nobel laureate Naguib Mahfouz. He is also interested in Islamic studies and is co-translator of three volumes of Prophetic Hadith. He has also written a number of children’s books adapted from traditional Arabic sources, including a collection of his own short stories, Fate of a Prisoner, which was published in 1999. Born in 1922 in Vancouver Canada to English parentage, Davies spent his childhood in Sudan, Egypt, Uganda, and Kenya, and then was sent to England at age 12. Davies studied Oriental languages at Cambridge, and has lectured translation and English literature at several universities across the Arab World. In 2006, he published his memoirs. In 2007, he was awarded the Sheikh Zayed Book Award "Culture Personality of the Year", a valued at about $300,000. Davies lives in and divides his time between Marrakesh and Cairo.